[toc]Dark circles take away the beauty of a face and makes it look dull and weary. It can start developing at any early age, although older people are more prone to get dark circles. It generally occurs around the eyes which is comparatively thinner and more delicate than any other area of the face. Sometimes, we fail to understand this skin care requirements of this part of the face which requires special care. 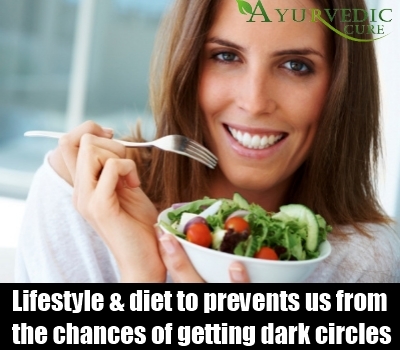 Dark circles appear mostly due to aging, neglect, stress, malnutrition, prolonged illness or unhealthy lifestyle and eating habits. Nowadays, it is also common among teenagers due to long study hours and spending a lot of time before the computer screen. There are a number of cosmetic and medicinal products available in the market which assures the removal of dark circles. However, it is difficult to find out which one is more effective and suits your skin type and budget. Moreover, they may contain harmful chemicals which may be harsh on the skin and cause permanent damage. There are some excellent home remedies, with the help of which it is possible to get rid of dark circle and get a flawless skin. Cucumber slices help in reducing puffiness, dark circles and refreshing the skin, especially the delicate areas around the eyes. It is also a natural astringent and skin toner which relaxes the eyes and lightens dark circles. It contains a lot of vital nutrients which helps in maintaining a flawless and spot less skin and aids in its revitalization. 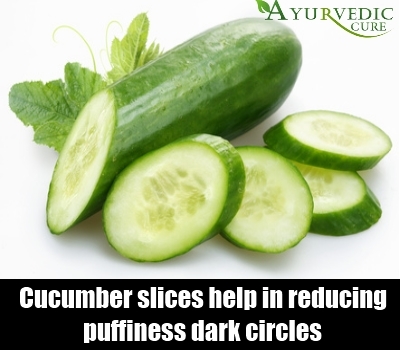 Apply thin slices of cucumber for ten to fifteen minutes daily on the affected area. This will gradually make the dark circles lighter. 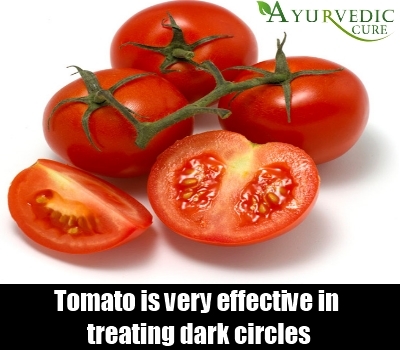 Tomato is very effective in treating dark circles. It is also a skin lightener which makes it ideal for overcoming dark circles, patches and blemishes. It is enriched with vitamins C and E, lycopene (a very powerful antioxidant) as well as amino acids which nourishes the delicate skin around the eyes, cleanses them naturally and helps in growing new skin cells in place of dead cells. Take some tomato pulp and apply it on your face, including the areas with dark circles. Leave it for 30 minutes and wash off gently with water. Regular application of tomato will not only remove the dark circles, but also make your skin more fair and radiant. 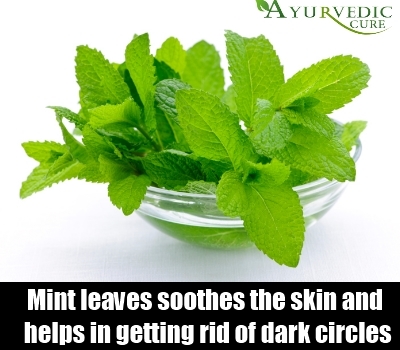 The menthol present in mint leaves soothes the skin and helps in getting rid of dark circles. Mint is also regarded as a health food due to the vital nutrients present in it which nourishes the skin and makes it beautiful and healthy. This is the reason why it is being uses as a prime ingredient in many beauty products like creams, toners, body lotions, etc. Crush a handful of mint leaves and apply it on your skin. Gently wipe off after five minutes with a damp cotton wool. 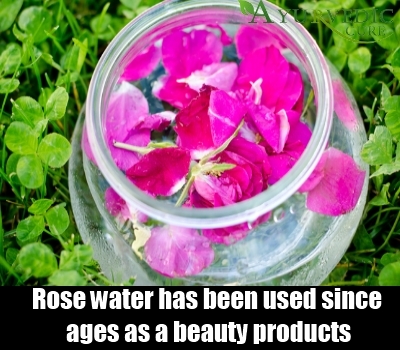 Rose water has been used since ages as a beauty products, when cosmetic and medicinal products were not in existence. Today, it is recommended by beauticians all over the world for maintaining a healthy, glowing, radiant and flawless skin which is free from patches, dark circles, blemishes and spots. It is very gentle and mild on the skin with no side effect. In fact, it is so mild that one can apply it as an eye drop in order to cleanse and soothe them. However, it is important to go for a trusted brand. Soak two pieces of cotton wool in rose water and put them over the eyes. It will immediately start soothing your eyes and the skin around it. You may keep it for fifteen to twenty minutes or even a little longer. 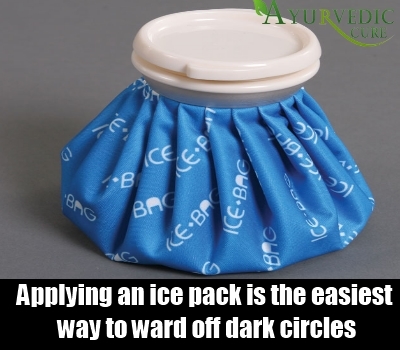 Applying an ice pack is the easiest way to ward off dark circles. Put some ice cubes in a towel and wrap the ice with it. Now apply it on the dark circle spots. It not only cools and soothes the skin but also enhances blood flow into the area, making it healthy and glowing. Refrain from applying an ice pack if you are suffering from cold or fever. Also, never apply ice directly into the skin as this may damage the delicate skin tissues. Sometime our unhealthy lifestyle and eating habits become the major factors responsible for skin problems like dark circles, acne, blemishes, etc. Sleep deprivation, stress, staying awake late night, rubbing the eyes persistently, exposure to sunlight without using sunscreen, etc. may cause unpleasant dark circles. Drinking lots of water, eating a healthy diet, eating in time, getting sufficient sleep, avoiding junk foods, caffeine, alcohol, smoking, etc prevents us from the chances of getting dark circles.